Analysts for Cowen and Co., based in the US have predicted today - 10th August 2017 - that by the end of the year, half of the homes in the US will have a subscription to the Amazon premium service - Amazon Prime. It is thought that Amazon Prime subscriptions saw a massive increase recently on Amazon Prime Day - an annual event which offers massive discounts on products throughout a fixed period - and which happened in July. According to John Blackledge, analyst at Cowen and Co., subscriptions have risen from the impressive 46 million Amazon Prime users last July, to stunning 54 million this year in July. 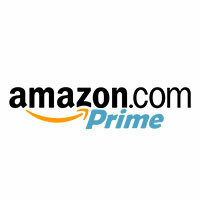 According to a survey by the company, of the 2500 people asked, 49% had Amazon Prime membership. Bearing in mind that there are some seasonal events coming up - including Black Friday and the general Christmas rise, Blackledge predicts that this figure will surpass the 50% mark before the end of the year. There are a number of reasons that people choose to subscribe to Amazon Prime, especially for those who use Amazon a lot. The perks that are offered are all part of Amazon's strategy, which according to Amazon's Jeff Bezos, is to “improve the value proposition that Prime brings in a way that not using it becomes an “irresponsible’ choice”. Amazon Prime offers subscribers free 2 day shipping - even free same-day shipping in some areas, streaming of films and TV with Prime Video, free access to over a million songs with Prime Music, unlimited photo storage with Prime Photos, access to a Kindle lenders library and special deals and discounts amongst others. In the US, the price is $99, and the study shows the membership is lowest amongst those who earn the least money. This, whilst not surprising, suggests that the price is too high for those fall into the lowest income category. Whilst, whilst seemingly a little unfair, is not necessarily regretted by retailers as they generally focus on customers with the most disposable income. Whilst the numbers in the UK are subsequently lower, it would be surprising if the British market doesn't follow the trend in the US - especially as Amazon focus on offering the same services as Amazon Prime offers in the US. As Amazon strengthen their hand still more, premium services like Amazon Prime are going to generate increased temptation with the users, and as Amazon is aspiring – turn into responsible options.